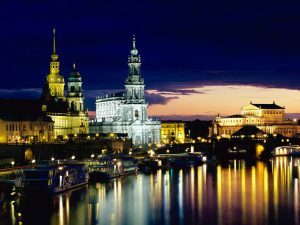 Back after a sixty years lull as the capital of a rejuvenated and reunified GERMANY and back as one of Europe’s if not the world’s greatest cities. Berlin was the centre of critical historic events and became a sad curiosity after the Second World War, with a wall dividing the town in two halves and visitors mainly coming to see the attraction of a portioned Germany. Today Berlin is an international metropolis equal to New York, Paris or London. Tourism is on the rise and guests from around the world are being drawn to this glamorous city to savour the intoxicating mixture of the old and new. Fashionable boutiques along the world famous Kurfürstendamm (Ku-Damm) in the Charlottenburg district, with the Kreuzberg and Prenzlauer Berg areas are amongst the hotbeds of creativity, likened to New York’s Soho or Paris’ Latin Quarter. Berlin is addictive, open 24 hours, offering residents and visitors alike an almost inexhaustible variety of possible activities. With a city that does not sleep transportation is important. The three major airports (Tegel, Schönefeld and Tempelhof) are best served by the excellent underground, bus and train systems that operate 24 hours a day. Lets not forget the café’s, restaurants and of course the nightlife. The area around Hackescher Markt is very popular with its local and international speciality restaurants and cafes. The city’s nightlife tempts people young and old to the countless bars, discos and clubs that stay open all night, and with exhibitions, open-air festivals and international sports events (who could forget last years fabulous football world cup). BERLIN is back on the world map.